As the President and founder of Mizrahi Developments, Sam Mizrahi is proud to have led the development of 128 Hazelton, a luxury real estate property that highlights the timelessness of old-world craftsmanship and quality construction. 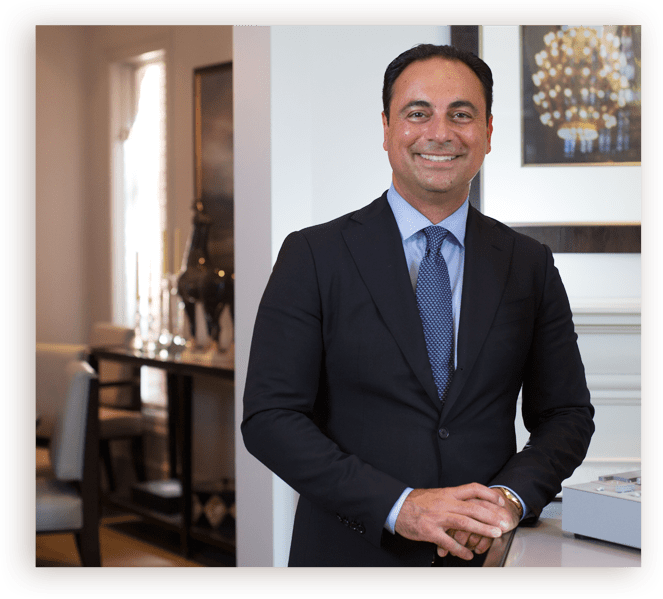 Sam Mizrahi founded Mizrahi Developments in 2008 with a specific purpose in mind: to create condominiums with the same sense of permanence and detailed craftsmanship as a stand-alone luxury residence. 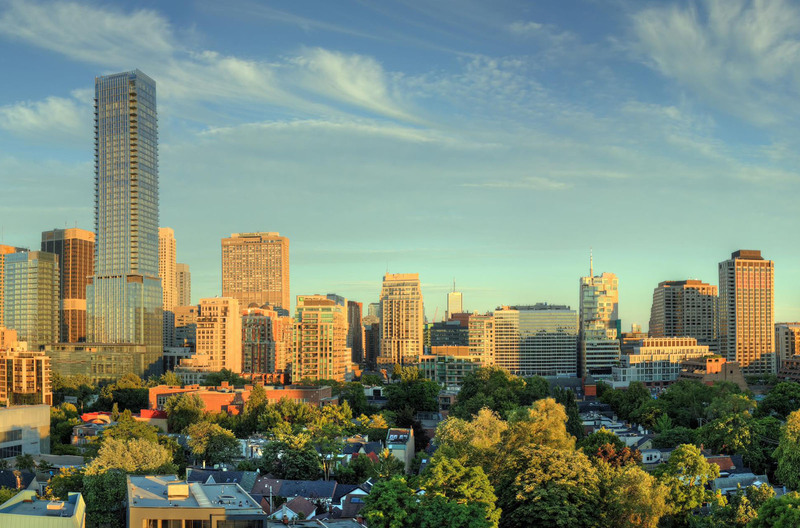 Sam started Mizrahi Developments on the foundation of a design-build business that specialized in custom-built luxury homes in some of the most valuable neighbourhoods in Toronto, including Forest Hill and Lytton Park. Sam correctly identified a growing demand for condominiums that were built with the same level of customization, quality and craftsmanship as he had become known for in the single-dwelling market. Many homeowners were changing the way they wanted to live in Toronto and were looking for a New York style of luxury residential suites in mid rise and high rise buildings. Since founding Mizrahi Developments, Sam has demonstrated an ability to work with all stakeholders in heritage neighbourhoods and to streamline the zoning and approval stages of projects. Sam and Mizrahi Developments is proud to have led and inspired a number of successful luxury condominium projects, such as 133 Hazelton and 181 Davenport, both of which highlight the company’s old-world approach to development, bringing back timeless, classic craftsmanship. In addition to leading Mizrahi Developments, Sam Mizrahi is also the founder and President of Mizrahi Design Build, an independent design and build company that provides successful turn-key solutions on a range of residential and mixed-use projects. Sam is also the President and founder of Northern Citadel Bancorp, a private company registered with the Financial Services Commission of Ontario (FSCO) as a Mortgage Investment Trust and Administrator (MIT). A successful entrepreneur, Sam Mizrahi has built a career on his skill of identifying lucrative business opportunities and executing them with game-changing vision. At the young age of sixteen, Sam established his first company, Unimax, which imported and sold batteries and blank audio and video cassette tapes to independent stores in Toronto and Montreal. Sam led Unimax for four years, building the company into one that commanded roughly $18 million in annual revenue. In addition to leading Unimax, as a young man, Sam began his more than two decades of experience in real estate development by studying urban planning and searching for lucrative but overlooked real estate investment opportunities in the Richmond Hill and Oak Ridges areas of Toronto. This experience and drive to find valuable properties strongly prepared him for leading Mizrahi Developments’ projects. In 1992, Sam founded Dove Cleaners and developed the company into the largest luxury dry cleaning company in Canada, with more than 100 retail locations and an advanced processing plant. By 2005, Dove had earned a number of awards and distinctions in the industry. Sam then took the company public. In 2006, Sam returned to real estate when he launched Mizrahi Design Build. He has worked in real estate development since that time. Beyond his reputation in business circles, Sam Mizrahi is known as a generous, committed philanthropist who contributes to the Toronto community and supports a wide range of charitable initiatives. Over the years, Sam has donated to a range of organizations including Adopt a Room with Ronald McDonald House; an After Breast Cancer organization; the Toronto Zoo; and Panache, which supports the West Park Healthcare Centre. Sam is also a valued philanthropist and participant within Toronto's Jewish community. Sam served as the developer on a charitable basis for the Temmy Latner Forest Hill Jewish Centre (https://www.foresthilljewishcentre.org). The Forest Hill Jewish Centre serves as a community resource in Forest Hill, Toronto, offering educational facilities, such as lecture halls and event venues, daycare and other community-building programs. Sam also serves as a board member of Friends of Simon Wiesenthal Center (FSCC), a non-profit organization promoting tolerance and human rights around the world. In 2012 and 2013, Sam co-chaired “Walk with Israel”, the largest annual fundraising event in Toronto and one organized by the United Jewish Appeal (UJA). More recently in 2015, Sam served as a co-chair of UJA’s “Run with Israel” event. Sam lives in Toronto with his wife and two children. He is licensed as a jet pilot and has a black belt in Jitsu and Ken-Jitsu from Japan. He is also a passionate scuba diver and skier.